This prep course gives you all the study materials needed to pass the COT certification exam that is administered by JCAHPO. Notice: The COT® Prep Course is not intended for the general public. You must be sponsored by an eye doctor in order to take the COT® certification examination. For more information on a career in ophthalmology, click here. If you already work in an opthalmologist's office and you need information about exam requirements, click here. "I purchased the COT® review course and found it to be extremely instrumental in helping me prepare for the COT® test. It was such a huge asset and definitely worth the money. The quizzes helped me identify weak areas so I could go back and revise and thus passed it first time. In the grand scheme of certification, the price of one vs the other doesn't matter much. When spending your valuable time and effort, not to mention your reputation, you want a course with a track record of success. Eyetec.net has been in the prep course business since 1998, with many, many successful "students". See more COT prep course user comments when you get to the end of the page. 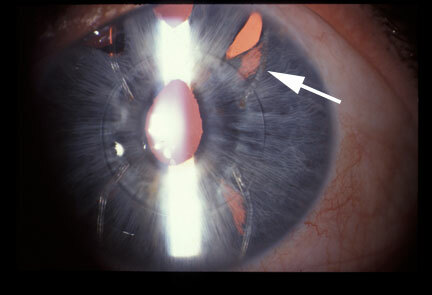 A survey indicated that COT® exam test takers had the most trouble with the optics problems. The new COT® exam has a decreased emphasis on optics, but the prep course gives you additional help with any optics related problems that may be on the exam. Get up to 12 group A CE credits while you study for the exam. Here's how it works: After purchasing the exam prep course, you will email to me which of the CEC courses from the catalog that you want CE credit for and I will sign you up for the CE credit post-tests. All CEC courses are relevant to exam content, so you are not doing any "extra" reading that is not related to the exam. A review course lasts several hours and is designed to give you an overview of the exam material. A comprehensive prep course takes many hours to complete and it gives you in-depth discussions of all exam content areas. This course is a comprehensive prep course. Take a review course if you already have a complete knowledge of the exam material. Take a comprehensive prep course if you want to get complete coverage of the exam material. With the COT® Exam Prep Course, all of the research and organization regarding study materials has been done for you. There is no need to purchase any other study materials. For a modest fee, you will be able to efficiently use your available study time. Gain confidence in your ability to pass the certification exam. The COT® Exam Prep Course includes a database of over 2500 exam practice questions. All study material is followed up with quizzes designed to test your knowledge of the content, and to help you remember the material. Be prepared to take the COT® certification exam by taking the simulated practice exam. Take the practice test as many times as you like. Each time you take the practice test it will have a new set of questions that are presented in the same content area percentages that will comprise the actual exam. Get the inside scoop: Included is a "what to expect on the exam" commentary compiled from debriefings of folks who have recently taken a certification exam. Are you ready? The course fee is $150, which includes 180 days (6 months) of access, plus up to12 hours of CE credits ($120 value). You must be logged in to purchase. If you are not logged in or registered, this link (below) will take you to the login page, and then it will bring you back to the purchase page. Not sure you can do this? And you don't want to "waste" $150? Then use the "no pressure" approach. Look at it this way. You are a COA® and you need CE credits. You are getting 12 CE credits with the course ($120), which means the prep course really only costs you $30. You can take the prep course and perhaps decide that you are really not ready to take the exam. Then just wait a year or two and take the prep course again when you have more confidence. Remember, you are getting another 12 CE credits, so you are really only paying a total of $60 above the cost of the CE credits, which is money well spent. How long will it take to complete the prep course? It is estimated that an experienced assistant can complete all aspects of the course in about 60 hours. This will vary depending upon the user's knowledge of the course material. Is there a time limit on access to the prep course? Yes. The course fee includes access to the course for 180 days (6 months). The time frame begins with the payment of the course fee, so don't sign up until you are ready to begin studying. Does the COT® Exam Prep Course come in book format or on CD? No. The interactive nature of the course requires internet access.